You have an apartment for rent. It’s awesome. You are going to rent the hell out of it, right? Quickly too! You’re going to hit up Facebook, Myspace, Twitter, Tumblr, every directory you can get your mouse on, and you’re going to print up flyers and put up a sign in the window. 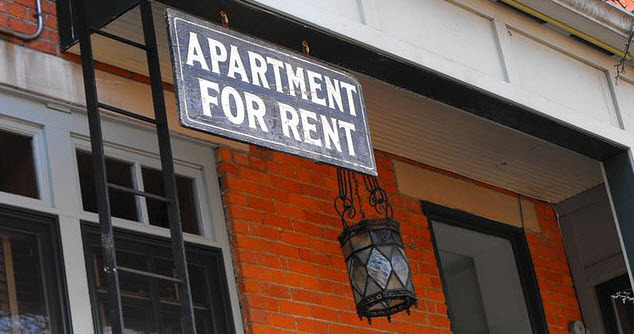 You’r aiming for such an overwhelming amount of interest that you’re convinced you’ll have to choose which amazing potential tenant you rent it to. Wait a second. There’s this company called J. Turner Research in Texas that conducts research specifically for the apartment industry. They released the results of a survey they conducted on over 41,000 people in the multi family market, that aimed to identify preferences that apartment hunters have when finding a new place to live. The results are interesting…you can read the press release here. Keep in mind, this is an American survey, but for the purposes of the point I’m making, it’s pertinent. a compelling majority (95 percent) of the 41,303 respondents to the initial 29-question survey said they did not visit Facebook or Twitter during their apartment search. However, 74 percent of respondents reported using ratings and reviews sites, and additionally reported on their perception of the trustworthiness of each site used during the search process. When asked for the sources used during their apartment search, prospects reported focusing primarily on Internet Listing Sites (65 percent), drive-by (39 percent), and referrals from friends and family members (24 percent) as the top three search channels for finding a new apartment. Interesting. Hold your horses if you’re about to publish your listing to Facebook or if you’re going to tweet it. Apparently no one cares about social media when it comes to looking for a place to live. They seem to prefer listings sites. It also indicates the importance of really being thorough in creating an apartment listing – whether you’re publishing to Craigslist or using a service like PadMapper or Kijiji. The more quality information you have on there, the better. The better the info, the easier your search is going to be for a new tenant and the easier it is for a potential renter to determine whether your unit is a good fit for them. “Thorough” isn’t just giving the breakdown on square footage or including a crappy photo you took with your iPhone. It’s putting together something attractive and compelling, and one of the main reasons we created our handy listings feature in Renting Well. If you’re using our service – it’s awesome! (shameless plug). With that said – let me give you a breakdown. What is a “quality” listing? It’s explained quite well at The Rentables, here. It goes into a few things in the post, but there’s a few items that really jump out here…. Images. This isn’t a classified section from the 1918 edition of the National Post. Not having them is going into a showing hopeful that they like the way a place looks – and that’s a waste of time. Also, if you’re not including them, don’t you think that gives someone the impression that the place is probably not very nice? What are you hiding? Include images – and not just one or two. Include specific images of specific spaces. Bathrooms. Kitchens. Bedrooms. You need a solid set of images that create a serious sense of the unit for people to be able to digest. On the same note, don’t inundate a listing with 50 images – especially crappy ones. That’s not a good idea. 10-15 images is a good basis, and they shouldn’t be photos that simply change the angle of the same space. Differentiate – and ensure they’re good shots. Think about your headline and the body of listing. You don’t have to be a copy writer for a major advertising agency – but the first few words in a listing will be important in making a first impression. For the body of your listing, avoid empty words, get right to the point, and sell the sizzle, not the steak as the piece says. Don’t use ALL CAPS. You’re not yelling at people, and it makes you look a jerk. Also, avoid using words like “nice”, “beautiful”, and “great”. Those are so overused. Real estate agents use those words about a million times a day. Here’s an example – instead of saying “Great 1 bedroom apartment for rent” – how about, “Spacious 1 bedroom flat for rent”. That sounds more refined and less robotic. Approach the words in your listing with a question about whether it’s distinctive. Be specific and clear about expectations. If you aren’t ok with pets, say so. If you’d prefer no smoking in the unit, dont be afraid to say it. Do you want interested renters that are well qualified, or do you just want tons of phone calls and emails looking for clarification? Details. Include them. Amenities. A walk score. The distance to a laundromat. The proximity to a grocery store or a bank. Bus routes. The point is…start a search for a new tenant strategically. Market your listings effectively. Have pride in what you’re offering, and put it out there in a way that gets the best return on your time and money, versus the quickest.